The first major biography of the late, provocative comedian Joan Rivers. ...a highly readable new biography ... Bennetts’ clear-eyed biography shows why this ambitious, 'stubbornly paradoxical' woman who 'wasn’t ready to cede the spotlight' continues to command our attention. There is a lot here that’s familiar, especially if you’ve seen some of the documentaries or read some of the books that Bennetts draws from. 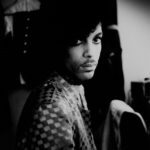 Bennetts began interviewing her sources for this book the month that Rivers died, and it suffers from a lack of original interviews with its subject. Rivers talks a lot here, but because her comments are from extant sources, she often sounds canned — and always on, whether delivering tears or laughs ... Rivers did something else that surely a feminist would never do: She sold out other women for laughs...if there’s one thing Bennetts does in this book it is to make the case for that Rivers — the opportunistic bully, the hater ... Bennetts has a tough time reconciling Joan the Impaler with Joan the Revolutionary, and the book pings and pongs with journalistic on-the-one-hand, on-the-other equivocation. Rather than Bennetts’s narrative of an ugly duckling desperately trying to become a swan, I’d posit that Rivers was forever trying to live out her childhood dream of becoming a serious actress ... Bennetts also describes the rise of the celebrity stylist and argues convincingly that we have Rivers to thank or to blame for the likes of Rachel Zoe...Bennetts also shrewdly sees Rivers as the forerunner of the internet denizens who police everyday women’s bodies online now. 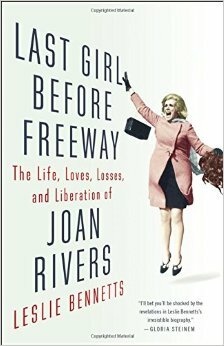 What did you think of Last Girl Before Freeway: The Life, Loves, Losses, and Liberation of Joan Rivers?